Hong Kong immigration will be a wonderful option even while its popular Investor Visa Category will be the best Hong Kong Visa Category for you. Yu will have to fulfill some for Hong kong Investor Visa Requirements, to move to the place under the stream. Over a period of time, and if everything goes well and you successfully become a citizen of the SAR, you will get to enjoy visa-free travel to 159 countries & territories of the world. Yes, with the Hong Kong Passport you get several rights and benefits with visa-free travel being just one of them! 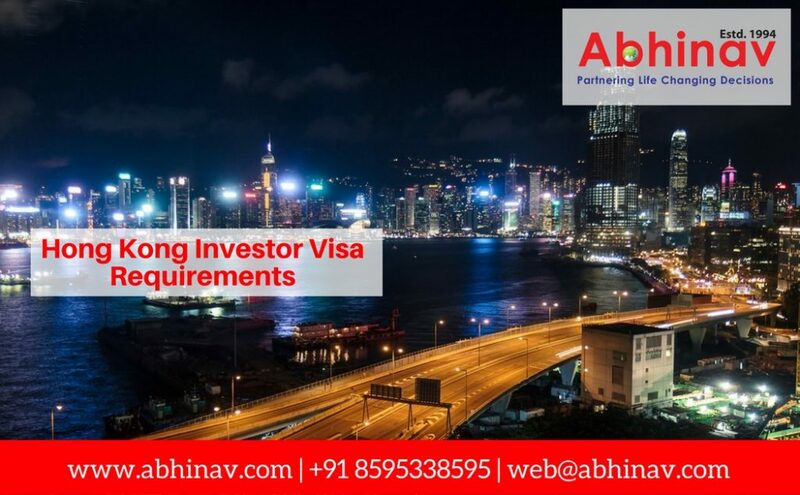 Coming back to Investor Visa, the entrepreneurs – keen to relocate their firms/enterprises to Hong Kong–may employ this wonderful visa plan, which is basically considered a Work Permit that also enables a partner and unwedded dependents, below 18 years, to enter. 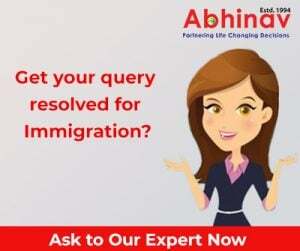 The visa is legally valid for a period of 1 year even while it can be renewed every year till the time the firm/enterprise continues to be feasible. This highly developed Special Administrative Region (SAR) of China Hong Kong is strategically situated off of the southern coast of China even as it enjoys a worldwide status for amazing economic progress and a high quality of life. Renowned as ‘One of the 4 Asian Tigers’, Hong Kong is also the world’s fifth most important city. Lately, this autonomous territory has become a global head in applying business-friendly rules, not-too-high taxation rates, and open trade plans. It offers a tremendously attractive and encouraging business atmosphere, and this makes it a hugely popular option for the overseas investors to explore. The Hong Kong Administration only permits the nationals of particular nations to move to the region on business related objects, minus having to get a visa, for period of 14 days to 180 days. Every other candidate, interested in moving to this popular autonomous region, has to submit an application for a visa under what’s known as the ‘One Country, Two Systems’ plan. It denotes that it is mandatory for even the citizens of China to move through an immigration checkpoint prior to gaining admission into the region. As mentioned before, the overseas people, interested to carry-out business in the SAR, have to fulfill the mandatory for Hong Kong Investment Visa requirements. Let’s check what these requirements are! The candidates under the plan must have a clean background, and fulfill the security requirements of the place. It is also required that he furnishes proof of a reasonably satisfactory educational history. A degree in the pertinent domain, good technical qualifications, applicable professional skills, experience & achievements will solve the purpose. Apart from this, the aspirants must be in a position to validate that he will make a considerable contribution to the region’s economy, via making employment opportunities for the local workers, the usage of the professional services of the local service vendors, industrialists, makers, and suppliers, among others. And, that his firm will make a contribution in the particular market that it is making an admission into. Despite the fact that there is not any minimum investment requirement in place, it is compulsory that candidates can illustrate evidence that funds dedicated will be sufficient to cover the startup expenses, and also continue the business for not less than 3 to 6 months. The firm/enterprise is required to incorporate before applying for the Entry for Investment Visa itself. A comprehensive two year business plan also required to be presented for consideration. Evidence of the overseas residence is needed, and also a reproduction of the Business Registration Certificate. The processing time for the visa is anywhere between 4 and 6 months. To figure out more on the subject, get in touch with your Hong Kong Immigration agent! If you have not still engaged anyone for the object, do it TODAY! The competition is pretty tough. Despite being a top immigration destination for investment, and attracting a large number of applications from the candidates from all over the world, the SAR offers very few visas. How Expert Bulgaria Business Visa Advisers Can Aid You!